Home » Forum » MSX Talk » General discussion » PLATOTerm for MSX? What is it? PLATOTerm for MSX? What is it? Yesterday I came across a posting on the Facebook, with someone calling himself IRATA.ONLINE (Thomas Cherryhomes) trying to propose his "service for retro-computer owners". And now, a successful bring-up of PLATOTerm on MSX! 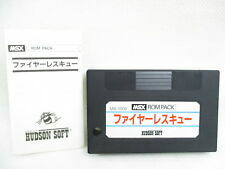 Versions will be targeted for tape, Disk BASIC, and MSX-DOS, and standard MSX RS-232. All that is needed is a set of RS-232 routines, and the port will be complete. If you can help, please ping me! - I need additional specific hardware like serial-to-WiFi, and even if I have it, who is going to develop drivers for it. Anyone can share their knowledge on the subject? I may consider cooperate on the project (for it to use GR8NET for access to services), but it seems project comes with already developed hardware (developed for and currently used on Commodore), and all they need is someone voluntaliry write drivers for their software. My first impression is that people behind the project are sellers of WiFi adapters. No hardware availability and due diligence was done, and, without research, something absolutely out of the blue for the community was announced. No clear value proposition. They provide source code, but it does not make project credible or successful. Thank you, I am jumping into that thread.